One of Jakarta’s hippest hangout places Canteen is currently collaborating with the world famous Toby’s Estate Singapore and they’re bringing something special behind the brew bars for its patrons. Of course, if you’re talking about Toby’s Estate then it’s all about coffee and with what I meant as ‘special’ there means something really special for you coffeeholics! 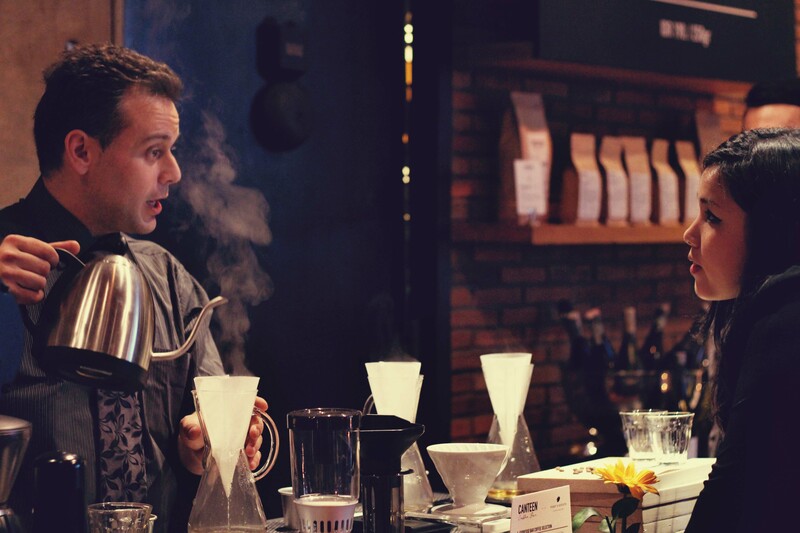 Yes, for the past few years the citizens of Jakarta have become cool, geeky zombies and that’s because the coffee culture has been plaguing all of us, of course, in a really good way. That’s why Canteen Jakarta doesn’t want to be left behind and the initiative they took by collaborating with Toby’s Estate Singapore is an admirable one. Sometime around two weeks ago, I encountered a special station just installed inside Canteen Pacific Place and by that I mean the brew bar with all those manual machinations to complement the coolest part of Canteen right now, Kees van der Westen’s Spirit killer espresso machine! Also, I was very fortunate to sample the best from Toby’s Estate’s coffee beans and brewed by one of their very best roasters/baristas Alvaro Sanchez. 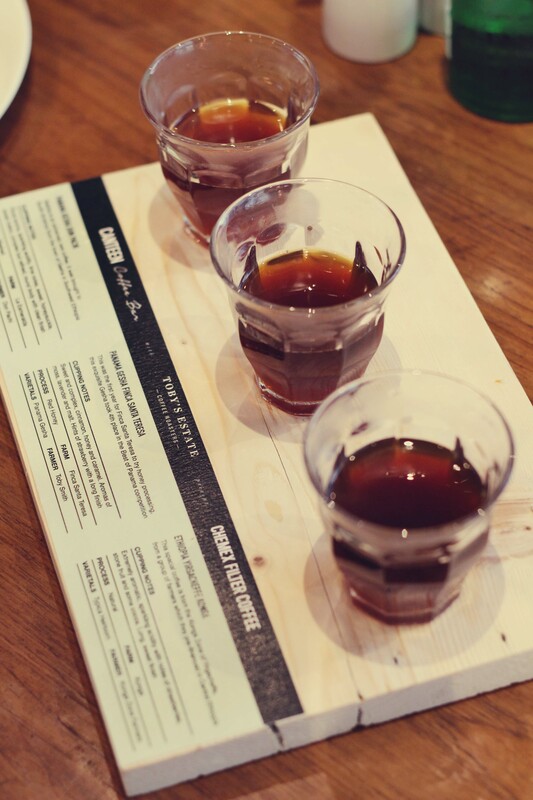 He brewed us three different profiles of coffee with rich characteristics from the wagyu of coffee beans – Panama Geisha Don Pachi and Finca Santa Teresa, and also the Ethiopian Yirgacheffe Konga beans. If you are unsure which to pick from these platinum grade beans, then you can always pick for the samples of each served all at once for IDR 45,000 only! Anyway, me and Natasha a.k.a The Yummy Traveler conversed so much about the geeky stuff on coffee and its roasting methods. Clearly, Alvaro Sanchez knows a lot about it and we had so many coffee in-between these nerdy talks. How enjoyable! 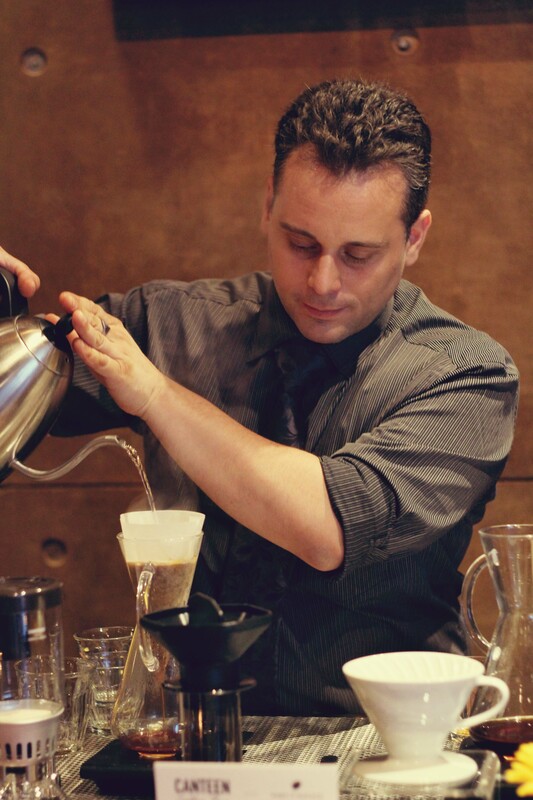 As for you, although as of this moment Alvaro Sanchez might have already returned to Singapore for good, it’s best to always ask and ask about everything for your coffee and I am sure Canteen Jakarta would solve the equation for you. So, be sure to give a good taste for those cool beans. 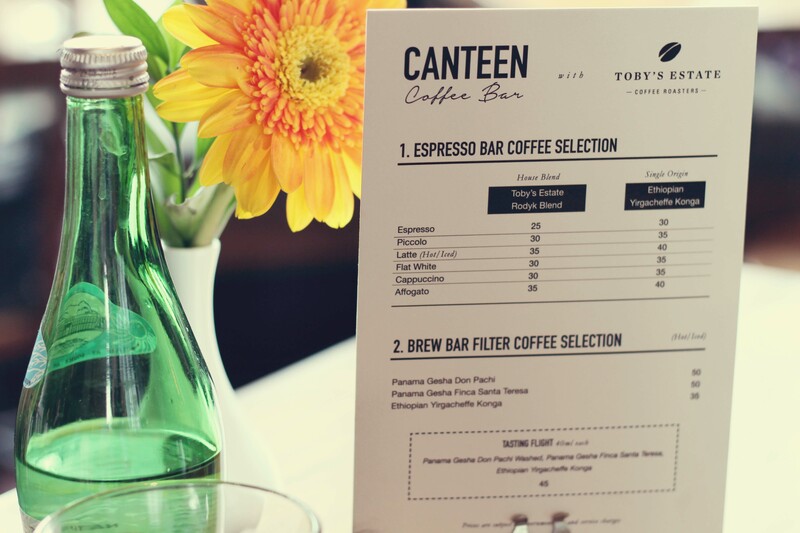 Lastly, Canteen also provides the coffee beans for takeaway supplied exclusively by Toby’s Estate. For a good price, you can opt to either grind all of them at Canteen or if you are solid with what you got back at home, be sure to wrap these lovely beads back home. Jakarta is getting more and more exciting with its coffee scenes and I thank Canteen as well to make it more colorful. Keep it up!